Now, aside from several trips to the barrios of Tijuana to help build houses for Project Mercy, I’ve never been south of the border. So I can’t say I know the people of Chamula, a small town in the Chiapan highlands in the South of Mexico, but their syncretic religion fascinates me, a blend of Catholic and Mayan beliefs. But in an odd blend of the traditional and the modern, the Chamulans have a higher regard for Coca Cola™ than the Hawai’ians have for Spam™; to them, it’s a sacred libation. Praying in San Juan Chamula church. Image courtesy of mam.org.mx, which now appears to be defunct. This picture would have been taken surreptitiously, as photography in town is difficult, and in the church entirely forbidden, a transgression which can get you ejected. It’s not lost on me that one of the bottles shown here is Pepsi, but you know, any port in a storm. What follows is an extract from a blog post by Julieta Cárdenas at the College Hill Independent, who describes the relationship between Coke™ and the Chamulans far better than I ever could. Her entire post is worth a read. In Chamula, Coke is everywhere. Not just in small businesses and eateries, but also places of worship. Within the ash-covered walls of the Church of San Juan, women wearing black llama-fur skirts kneel on floors flooded with pine needles. Men and women alike melt the bottoms of the candles and use the liquid wax as an adhesive to stick candles of different colors onto the floor, arranging intricate, abstract patterns. These patterns are complemented by the carefully arranged coke bottles that sit adjacent to them. I look around—there are many, many gallon bottles of Coke on the floor of this church. The aromatic warmth from the pine and smoke is contrasted by the cold-red plastic label of the bottles. All around me, people are using these branded, corporate soft-drink bottles for prayer. Chamula is an autonomous town about 30 minutes by van from San Cristóbal de las Casas. The people there, of Mayan descent, gained their freedom from the Mexican government and Catholic Church by ejecting foreigners from their town in the 1970s. Chamula maintains its own leadership, police force, and prison system. It is independent to such an extent that it forbids people born elsewhere to live in it or join its culture: that is to say, it is endogamous. I had come to Chamula because I had remembered the town from a previous visit when I was fourteen, and wanted to revisit and try to learn more about the culture than I had before. I had also wanted to get some pictures, but photography was forbidden inside the church, and I had to ask permission before taking pictures of anyone. These rules, although reasonable, made me feel like an outsider in a town where, ironically, residents make a considerable profit from sales of artisan crafts to visitors. Although the small town is a site of tourism, as a non-resident of Chamula you cannot help but be constantly reminded that you are only a visitor. It was peculiar to observe an exclusive community—stringent about upholding a boundary between the indigenous and the imported—also incorporate a first-world soft drink into their religious practices. Luckily our guide, a man from San Cristóbal who spoke English, Spanish, and Tzotzil—the Chamula Mayan dialect—offered an explanation. After leaving the church, we headed to the home of a local woman, who demonstrated her weaving techniques on a handmade loom with homespun thread, and gave us homemade tortillas sprinkled with pumpkin powder and rolled into delicious cylinders. Standing in the path of a number of hens, and against a backdrop of finished textiles, our guide elaborated on the significance of Coke in religious terms. The people of Chamula believe in a syncretic religion—a hybrid of Mayan and Catholic beliefs—that mixes the iconography of the Saints with more ancient symbols like colored corn, which comes in red, yellow, black, and white varieties, each color bearing spiritual significance. This color symbolism manifeststhroughout the church, in candles made from animal fat or beeswax and most prominently in half-filled glasses of vibrantly colored beverages. Among these beverages are Pox (pronounced posh)—a white sugarcane-based liquor—various orange-flavored drinks, and, of course, Coca-Cola. 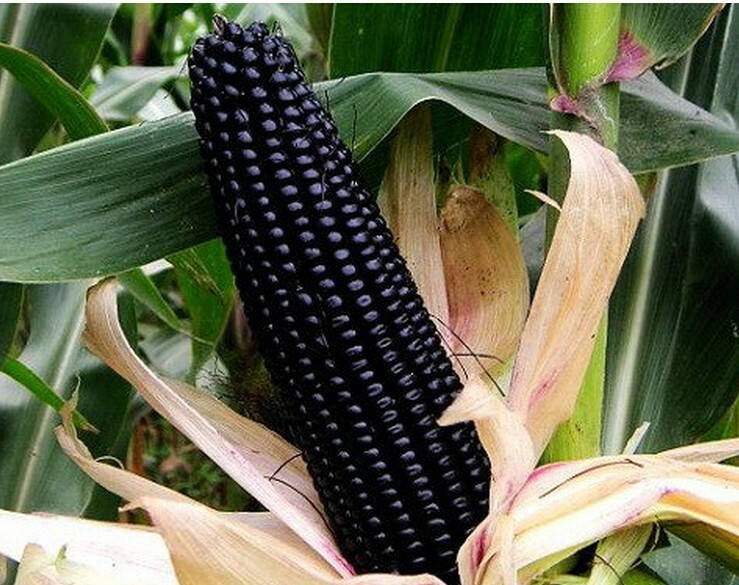 Coke, distinctively dark brown, has become a representation of the black corn that is sacred to the people of Chamula and to many of Mayan decent. (Black candles are thought to get rid of envy. White is for the tortillas, an offering to the Gods. Yellow is for money, and red is for health.) Each color means something, and the specific placement of the candles on the floor represents different votive pleas to the Saints. 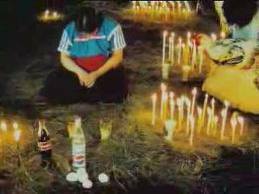 Coca-Cola has not only found its way into Chamula culture for its color. It serves a functional physical cathartic purpose as well—the gaseous qualities of Coke make it invaluablein the context of the preexisting religion; its carbonation has taken on spiritual significance. Do you hear that? Do you hear that? Now, I’ll thank you very much if the rest of you would just kindly rise up out of my face about my sacred purging of negative energy. The Old Wolf has belch spoken.